In a basement at SMU, an archaeologist is trying to save North Texas' prehistory. Her work shows us how recklessly Dallas has built a modern city. Dr. Sunday Eiselt—a field archaeologist, SMU professor, and former Marine—has a friendly disposition and long hair that falls to her waist. I went to meet her last summer on campus because she’d discovered something that I’d spent weeks searching for, something that had been missing for decades. She said this cordially but without leaving any doubt. It would take the next four hours to explain the restriction. Considering the enormity of the subject matter—13,000 years of indigenous occupation in North America and Dallas’ archaeological place in it—time passed quickly. There were more questions than available answers. She encouraged me to reach out to other people who work in local archaeology. But she did possess that one thing she’d invited me to see, an important piece of the puzzle I was trying to assemble. Our meeting came about because of a single paragraph written by Edward McPherson, an assistant professor of English at Washington University in St. Louis. It appears in a book he published earlier this year, The History of the Future: American Essays, excerpts of which appeared in the Dallas Morning News in May. McPherson wrote: “Dallas came from nothing. Unlike surrounding areas, it was not a camp for Native Americans or prehistoric men. Dig and you find few artifacts.” I knew that assertion was wrong. The “Dallas came from nothing” trope has long been used by Dallasites to praise the grit and gumption of the Anglo businessmen who created the modern city. So in June, on D Magazine’s blog, I offered a counterargument to McPherson’s claim. The short version: archaeologists, working on behalf of the city, unearthed nearly 3,000 prehistoric artifacts during the 2013 construction of the Texas Horse Park. The equestrian facility, located 8 miles southeast of downtown, is one of several amenities developed by the city on public land in the Great Trinity Forest. The recovery of artifacts at the site, contrary to McPherson’s assertion, is compelling evidence that prehistoric people made camps in the Dallas area. That the recent find has gone unpublicized, I argued, isn’t due to the city’s lack of awareness of archaeological sites. It’s more a case of secrecy, which, from a legal standpoint, is partially justified (more on this later). I knew about the artifacts because I stay in contact with a group of citizen scientists that reminded the city, prior to Horse Park construction, of its statutory obligations when shovels meet earth. But in doing research for that McPherson blog post, I stumbled across an old News article about something quite remarkable. In 1978, the city of Dallas paid two SMU archaeology students $10,000 (about $40,000 today) to create a compilation of all known prehistoric sites in Dallas. The sites were then plotted on maps. The compiled information, the News article said, “will be stored in a computer system accessible to builders and city planners” to be used to evaluate sites of potential archaeological or historic value prior to construction. So I went looking for this 1978 database. But everywhere I turned, I found no help. When I asked Dallas’ chief planner and historic preservation officer, Mark Doty, he replied in an email: “I am not aware if city planners have access to any archaeological site database … but we do not have that for historic overlays and districts.” He also didn’t know of any city department that deals with archaeological sites in general, though he guessed that the city’s Trinity Watershed Management department might have some oversight of sites along the river. As it turns out, two people outside of city government did know about the 1978 database project, but I wouldn’t find them until Eiselt found me. When my counterargument to McPherson went online, she posted a response in the comments section. If I was interested in “learning more about SMU archaeology,” she wrote, I should contact her. We exchanged emails. She received clearance from her dean. Then we locked in a date to meet. In addition to teaching and advising undergrads, Eiselt manages the SMU Archaeology Repository of Collections, or ARC. She said she would pull some prehistoric artifacts from the Dallas-Fort Worth area ahead of our meeting. And she said she had found something I also might be interested in: the original report from the 1978 project. The report’s title, “Dallas Archaeological Potential: Procedures for Locating and Evaluating Prehistoric Resources,” partially explains itself. 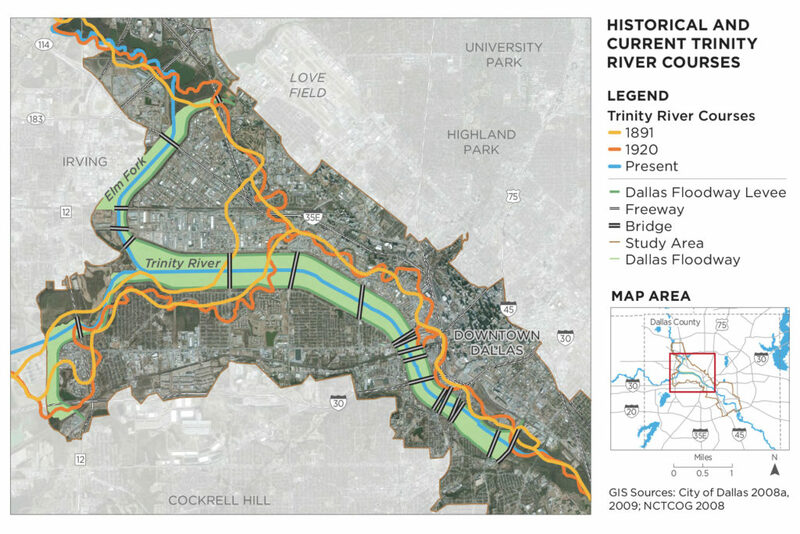 It’s a compilation of recorded sites and a probability index for encountering new ones based on soil types and proximity to the Trinity River and its tributaries. The report is also a step-by-step guide instructing the city on how to comply with federal laws as it pertains to archaeological resources and federally funded projects. At the end of our meeting, Eiselt scanned the report and emailed me a redacted copy that didn’t include maps of sites where artifacts had been found. Later, city staff sent me the same report and inadvertently didn’t redact the maps. It was a telling mistake. Right now, whether by design or dereliction, the city of Dallas is not paying attention to some of its most important history. There has been a lot of talk lately about Dallas making a 10,000-acre park along the Trinity. But as we rush to plan for that, we, as a city, have a woefully inadequate understanding of who came before us and what lies beneath. More recently, in 2014, the U.S. Army Corps of Engineers identified eight archaeological sites in the Dallas floodway. Location of the sites is withheld from the general public under the Archaeological Resources Protection Act of 1979. But both the 1978 report and the recent Army Corps survey offer clear proof that prehistoric people in the Dallas area lived close to water sources. If there’s any chance of learning more about our area’s prehistoric past, the city—and, by extension, the LGC—needs to provide assurances it will be attentive to potential archaeological sites as it excavates lakes and builds concrete amenities near the river. It’s possible the sites may contain human remains. While the city is required by the Antiquities Code of Texas, established in 1969, to undertake a cultural resources survey prior to construction on public land if there are any previously recorded sites in the project area, there is no guarantee resources will be protected. The artifacts recovered at the Texas Horse Park were preserved only because a group of concerned citizens—Ben Sandifer, Tim Dalbey, M.C. Toyer, Becky Rader, brothers Hal and Ted Barker—insinuated themselves in the survey process. They pushed the city for a more thorough site excavation and offered historical corrections that were eventually included in the final report. That report, which describes what can be known about the artifacts and the people who made them, is not available through the city. The department that Doty, the Dallas chief planner and historic preservation officer, mentioned in his email, Trinity Watershed Management, did not respond to my questions about the availability of the report. The Texas Historical Commission, the state agency for historical preservation, did. A copy of the report, titled “Cultural Resources Survey for the Proposed Texas Horse Park, Dallas County, Texas,” is held at SMU’s Fondren Library. It is lightly redacted to protect the precise location of the site, as required by law. Eiselt was an undergrad when NAGPRA passed, and she’s had lots of experience interacting with tribes. The act provides assurances that tribes are consulted when deciding the fate of ancestral remains and associated funerary objects. The new archaeology, unlike past practices, is less about the tangible ownership aspects of artifacts found at sites, and more about a scientific, interdisciplinary approach to learning about how people in the past lived, interacted, and adapted. Seen in this light, each site, if carefully studied, can provide continuity between people and places in an ever-expanding narrative. That’s a high bar to clear when considering the pace of new projects in the Trinity Forest and along the Trinity River. And so far, the city’s interest in archaeology appears to be driven by statutory requirements, not a quest to understand and educate. There’s nothing to suggest anything illegal transpired during the recent excavation at the Texas Horse Park, but it did take citizen watchdogs to make sure it was done satisfactorily. If the city were practicing Binford’s “new archaeology,” more time would have been needed to examine sites—which might require postponing planned construction, assembling an interdisciplinary team, and starting a conversation with the appropriate tribe(s). While the artifacts from the Texas Horse Park have been safely stored at a state-approved facility (as state law requires), and a final report, called a cultural resources survey, has been prepared by a professional archaeological firm (as state law requires), there’s been no cohesive narrative presented to the public about the site (though the city conducts cultural resources management on our behalf, it is not required by law to publicize it). And even if the public knows where to look and what to ask for, the archaeological record is inaccessible in other ways. The nearly 3,000 artifacts reside at the Texas Archeological Research Laboratory, or TARL, on the UTA campus. To see them requires a road trip and an appointment. Images are not available online. The report on the artifacts, available at SMU, is written in technical language. While informative, it can be difficult to penetrate. There is, however, an archaeological record with no gatekeepers. It is a legacy close at hand, waiting to be picked back up. Eiselt’s offer to me had been to learn more about “SMU archaeology.” After spending time on campus, in her laboratory in the basement of Heroy Science Hall, I understood why. All roads to North Texas archaeology lead to SMU. And to understand what is happening in the present, one must look to the past through the historical contributions of the Dallas Archaeological Society. The society left an extensive written record of its activities, which spans more than seven decades. When members weren’t getting their hands dirty in the field, they were prolific writers who published their own semiannual journal, The Record. Some issues include field notes, maps, and descriptions of sites from North Texas. In fact, the work of Dallas Archaeological Society members provided the groundwork for the 1978 project that was funded by the city. SMU’s Fondren Library holds most issues of The Record. Eiselt says gathering them in one collection has been an ongoing project, but there are still a few missing issues. Building an online resource of the journal or even an index is out of the question. There’s no budget for it. Prior to meeting Eiselt, I knew a little bit about the Dallas Archaeological Society from reading old newspaper articles. I knew considerably less about archaeologist Fred Wendorf, whose excavation photos I studied in the lobby. After Eiselt showed me black-and-white photos from the archives—Wendorf at Fort Burgwin in New Mexico and Harris managing collections at SMU—she suggested I pick up a copy of Wendorf’s memoirs, Desert Days: My Life as a Field Archaeologist, if only for the pages describing his first contact with Harris. Wendorf did indeed go on to become one of the most renowned archaeologists of the 20th century. While he spent his professional career saving an extensive body of knowledge of the prehistory of Egypt and Sudan from certain inundation from the Aswan High Dam project, built in the 1960s, Harris did the same sort of work in North Texas. Harris and other Dallas Archaeological Society members saved knowledge of prehistoric sites in advance of reservoir projects in Dallas County (Joe Pool Lake), Denton County (Lake Lewisville), and Collin County (Lavon Lake). Sometimes the work was in support of official survey work; other times, they did it just because they cared. Harris and Wendorf would come together again, in the 1960s, some 30 years after that fateful meeting at Fair Park. In 1964, Wendorf was hired as the first professor in SMU’s new department of anthropology. A few years later, Harris became the curator of the department’s collections. Wendorf retired from SMU in 2003, the same year that Binford, the father of “new archaeology,” retired. Harris retired as curator in 1970, though he continued in his capacity as consultant until his death, in 1980. 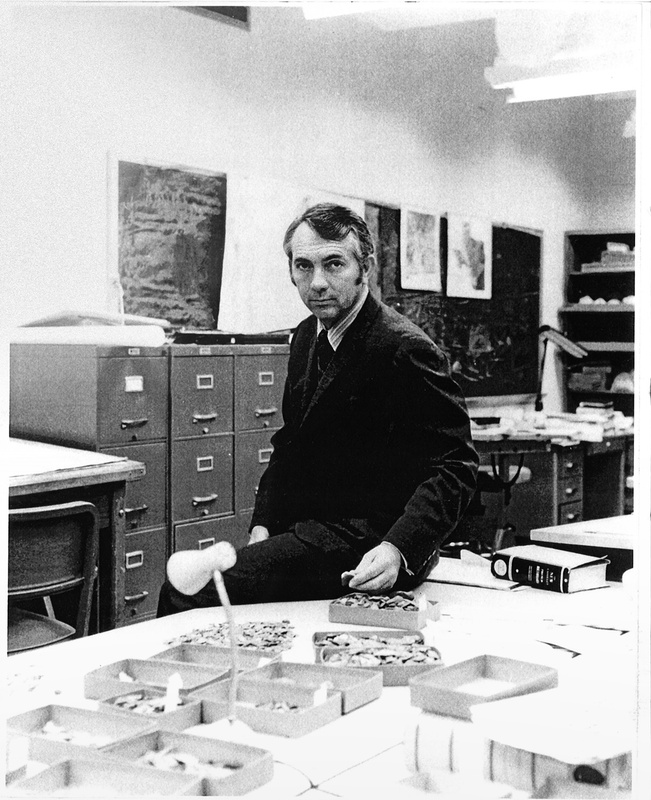 Both men helped nurture and build the archaeology program at SMU, but neither left his considerable collection—artifacts, maps, notes—to the university. Placement of Harris’ collection came down to financial necessity. His combined pensions from the railroad and SMU amounted to a paltry sum, and the Smithsonian could provide a small trust for his spouse as well as state-of-the-art care for his collection. Wendorf’s collection went to the British Museum in London, because in May of 2000, he wrote in his memoirs, “the SMU administration decided it did not want the expense and responsibility of caring for my Nubian artifact collection, and asked me to find a suitable home for it.” The British Museum gladly accepted, and by September 2001, millions of items were shipped abroad. At the height of Harris’ and other Dallas Archaeological Society members’ collecting days, they could excavate freely on public land (which also meant looters could, too). Lack of controls also meant the city had no legal obligation to rescue archaeological resources during the relocation of the Trinity River from its natural channel in 1928. The river was moved a half-mile west for purposes of flood control and land reclamation from its natural, meandering channel to a straight man-made channel. Excavated dirt was used to build levees. The path Eiselt traveled to reach Dallas, Wendorf paved. In 2006, she had just finished her dissertation on the history and archaeology of the Jicarilla Apache of New Mexico when she was asked to teach a summer course at an SMU campus in Taos. She ended up teaching field school there for five years. From New Mexico, she made her way to Dallas as a visiting professor. The connection to Wendorf is in the back story. In the 1950s, he wanted to start a field school in New Mexico, a place where students could gather for an intensive few weeks learning excavation skills from experienced archaeologists at actual sites. He met with a lumberman named Ralph Rounds, who owned 9,000 acres 9 miles outside of Taos, to pitch the idea. Rounds was agreeable. They built a facility together on a portion of land that contains an old fort, Fort Burgwin, and remnants of Pot Creek Pueblo. The facility eventually became the campus where Eiselt first taught for the university. Today it is called SMU-in-Taos. When I met Eiselt, whose expertise is in the archaeology of the American Southwest, she told me to contact two men, Alan Skinner and Wilson “Dub” Crook, to learn more about prehistoric sites along the Trinity River. Skinner, who also arrived in Dallas from the Southwest, has practiced archaeology in Texas since 1968, the year he came to SMU to study for his doctorate and began working with Harris. Crook, an avocational archaeologist, recently co-wrote a book on the prehistory of the East Fork of the Trinity River, documenting 20 major village sites and numerous seasonal campsites in Collin, Rockwall, Dallas, and Kaufman counties. It turns out that there weren’t two authors of the 1978 report; there were actually three. Skinner’s name appears above the other two on the title page because, at the time, he was the director of SMU’s Archaeology Research Program. The city sent requests for proposals to undertake the survey to three local academic institutions with archaeology departments; SMU had been the only one to respond. He told me that he considers Harris his mentor in Texas archaeology. “He served as a great adviser during the time that he was at SMU, and I relied on his advice after he retired,” he says. “He had visited lots of North Texas sites and had brought many collectors together in the DAS. He had a good memory for where things came from.” In retrospect, he says, he was probably Harris’ last student. The almost 3,000 artifacts recovered in the Trinity Forest were found upland, and not far below the surface. The culture(s) who produced and used the artifacts are considered prehistoric, but those people lived much more recently than the Clovis culture. The latter group dates back tens of thousands of years. 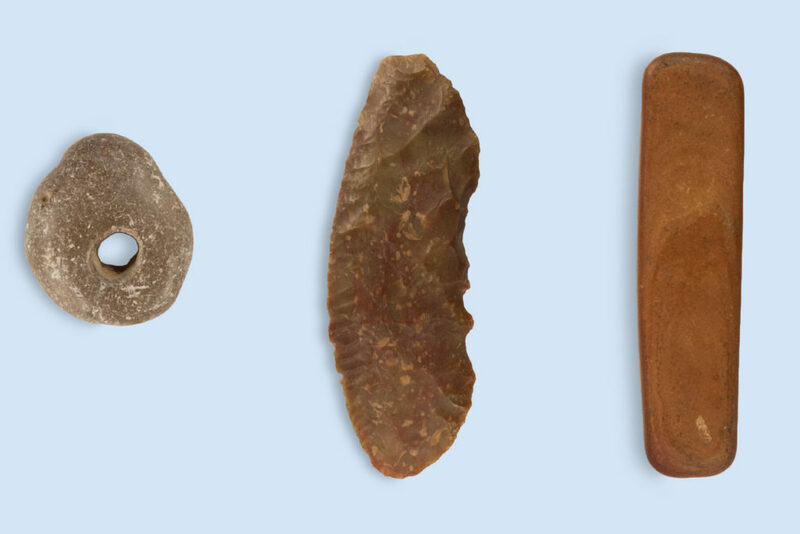 Distinctive projective points called Clovis points have been found throughout North America at 1,500 locations, and the oldest securely dated points have been found in Texas. There are two confirmed Clovis sites north of Dallas County, along the Elm Fork of the Trinity River (the Lewisville site, Lake Lewisville, Denton County; and the Aubrey site, Lake Ray Roberts, Denton County). This means that the evidence of one of the oldest cultures in North America might lie buried beneath the alluvium, within eyesight of the Margaret Hunt Hill Bridge. The other person Eiselt suggested I call was Crook. Our two-hour conversation led in similar directions as my talk with Skinner, and it began with a discussion of Clovis culture. He says Dallas County archaeology is part of a much larger narrative called The Peopling of the Americas. “No one has written a concise prehistory of the area to date,” he told me. “Dallas County does have Clovis-age sites—purported to be Clovis sites—in proximity to the Trinity River.” That includes the Elm Fork, the main stem, and the area where the East Fork feeds into the main, just outside the county boundary. In 1985, SMU archaeologist Dr. David Meltzer initiated the Texas Clovis Fluted Point Survey. The current tally of Clovis points reported in Dallas County is six. That number is low, says Crook. There are many more that haven’t been reported and are held by “private collectors who couldn’t care less about the science.” He speaks with authority on the matter; his father and Harris are attributed as the source of the six Clovis points reported in the Texas study. All roads to North Texas archaeology lead to SMU. And to understand what is happening in the present, one must look to the past through the historical contributions of the Dallas Archaeological Society. Ben Sandifer is a master naturalist and one of the people who forced the city to pay attention to what it was doing when it moved dirt to build the Texas Horse Park. He hikes through the Trinity Forest nearly every week. Few people know it like he does. On a trek in July, after a big rain, he found an arrowhead in a gravelly area. He left it where it lay. He says, “Dallas has an immense archaeological history, a profound history that tells the tale of ancient humans.” But he worries the history is not being cared for properly. For starters, he says, the city doesn’t have an archaeologist on staff. And the department that oversees projects in the area, including cultural resources management, has proven itself to be inept. “I don’t think Trinity Watershed Management has any ability to see value in archaeology,” he says. Sandifer and others were confident that artifacts would be found in the Horse Park project area because they all had read Dallas Archaeological Society member Forrest Kirkland’s surveys of the area from the 1940s. It’s worth remembering H. Ross Perot’s interest in relocating the Museum of the American Indian in New York to Dallas in the mid-1980s. Had he succeeded, Perot would have built a $74 million archaeology museum on a 10-acre site. 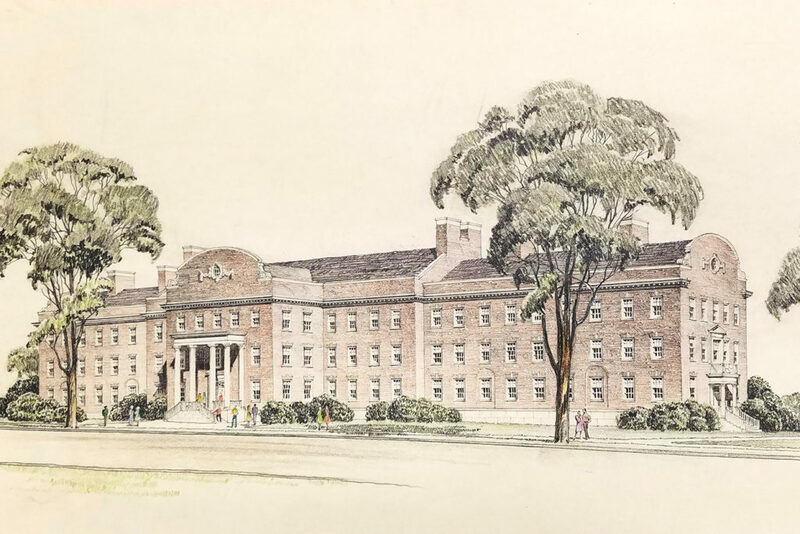 Plans included exhibit spaces, a research center, fumigation chambers for artifacts, and 88,000 square feet of storage space, including cold storage for furs and feathers. The proposal to move the museum out of state proved controversial and was ultimately rejected. Today there is no institutional memory of the report inside city government, which means the work of the Dallas Archaeological Society has also become a forgotten relic. For decades the city has made and remade plans for a park in the floodway and amenities in the Trinity Forest. The one aspect that hasn’t yet been planned for might be the most important: a duty to our ancestors.